The new date for the RVHS tournament is March 9th. This will make up for the tournament we missed on February 16th due to the weather. We are looking for judges to judge our home tournament to help make our day a success! Forensics is a competition of speaking, acting and reading. It is a great event, and we really need the community's help. Please contact Stephanie Allen at allens@rv337.org or 785-986-6251 ext 124 if you can help us by judging for us. The Big 7 League Forensics meet on Wednesday was a success! RVHS took 4th place! Gabi Simmons and Hanna Allen-5th in IDA which qualifies them for State Festival! Liz Sutton-6th in Prose which qualifies her for State Festival! Tanner Holte-2nd in Prose which qualifies him for State Champs! Greg Koon won his first medal. He commented, "It was a pretty fun meet. I had never done the event before, and I liked talking about why America used the atomic bomb." 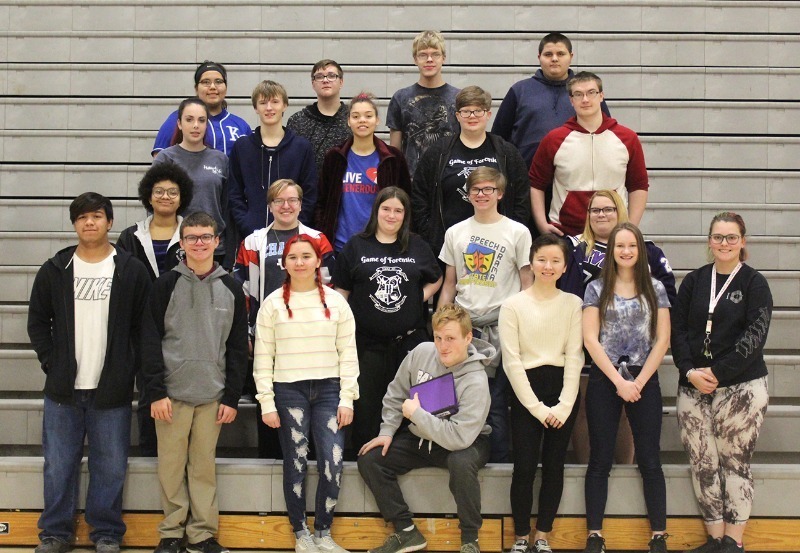 Saturday, February 23th, Royal Valley forensics had a tournament at Osage City. McKenzie Handley - 6th in Oration. Tanner Holte - 2nd in Prose. Tanner Holte and Josslyn Coulter - 1st in duet. 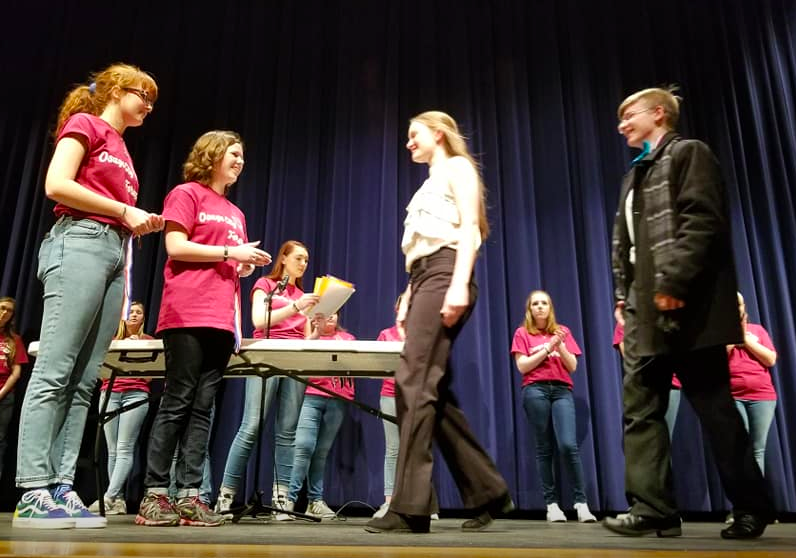 "The Osage forensics meet was a little harder than we thought it was going to be, but none the less we came home with a few medals and over all we are really happy with ourselves and how we did," commented Mckenzie Hadley.